Analogue System: cameras running on an analogue CCTV system transfer video signals in the traditional base band format, usually using coaxial cables or unshielded twisted pair (UTP) cables to send video back to a DVR. Covert System: a CCTV system with covert cameras allow videos to be captured in secret. Covert cameras can be disguised as a range of everyday objects like lamps, thermostats, smoke detectors, clocks and more. Covert cameras can be supplied as part of an analogue or IP system. Digital Video Recorder: a digital video recorder (DVR) simultaneously monitors and records footage from the cameras connected to it. The captured footage is stored to a hard drive located inside the DVR and can be easily displayed on a television or monitor. Fixed lens: a camera with a fixed lens enables you to record a fixed point with exact resolution settings that won't be affected by any system operations. This ensures that you always have the resolution and quality you expect. Infrared Illumination: a camera with infrared (IR) capabilities has IR LED lighting installed around the edge of the camera lens. Infrared light makes up a different part of the electromagnetic spectrum to what we can usually see, so this lighting allows the camera to capture images when there is no visible light. In low light, the camera will even be able to capture an image that looks like it was taken in the daytime. Internet Protocol System: internet protocol (IP) cameras convert footage into data which is transmitted and broadcast as a digital stream over an IP network. As this stream comes straight from the camera, IP systems allow more flexibility in how and where the video is recorded. Hybrid System: hybrid CCTV systems combine analogue and IP video. This can be a great way to start upgrading your CCTV system to IP without replacing everything at once - though once they see the difference, most people are pretty quick to finish the job! PTZ Camera: the name of the PTZ camera refers to its ability to pan, tilt and zoom, allowing the camera to be controlled remotely. It is always more effective to have many static cameras focussed on risk areas, but PTZ cameras can be a good option if you have extensive areas that would exceed your budget if covered by a large number of static cameras. Static Camera: static cameras are fixed with a view of one particular scene. These are typically supplied if you need to cover concentrated risk areas as they are extremely effective when the correct lens configuration is utilised to pinpoint details such as facial recognition, number plate recognition, retail transactions etc. Varifocal lens: similarly to a camera with a fixed lens, one with a varifocal lens will offer an initial resolution for a specific scene. It will also allow you to optically zoom in and out of the scene while maintaining focus and resolution. Video Motion Detection: video motion detection looks for changes in a camera's field of view and initiates an action in response, i.e. to start recording and/or sound an alarm. It works by comparing the stored footage frame by frame to identify any changes. 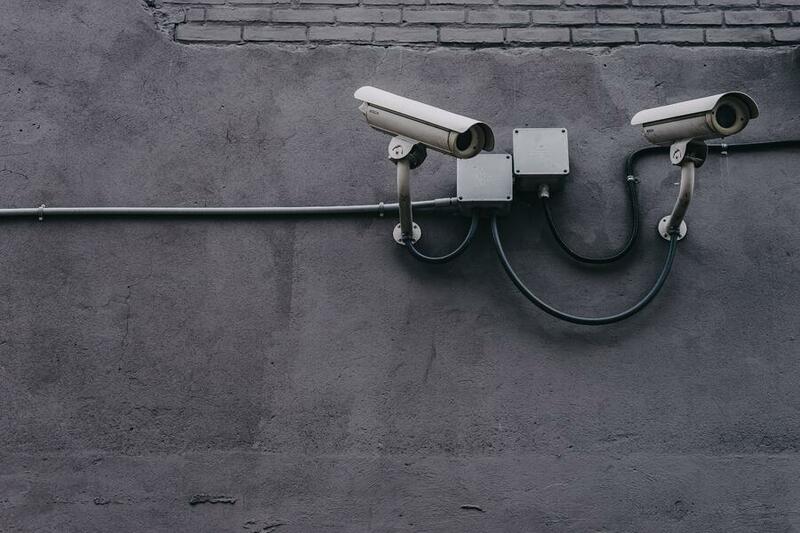 If there's more you need to know about installing a new CCTV system to protect your business, don't hesitate to get in touch with Sirus Telecom. One of our experts will be more than happy to chat to you and give you tailored advice.